Wholesome with the goodness of Ayurveda, these products are as if nature was packed in a box. While it might take some time to get used to their strong raw fragrances, the results of these skincare and lifestyle products will leave you immensely satisfied. It’s no secret that the age old science of Ayurveda holds remedies to many health and wellness ailments; however, all these solutions remain a secret to those who haven’t studied the ancient medicine. While many yearn to use these natural solutions for varying problems including those related to skin, they shy from doing so, as the traditional applications are not as go-to as modern cures, which come packaged as ready-to-use products. A way out through this could be the range of skincare products by neoVeda, a brand blending the old and new. 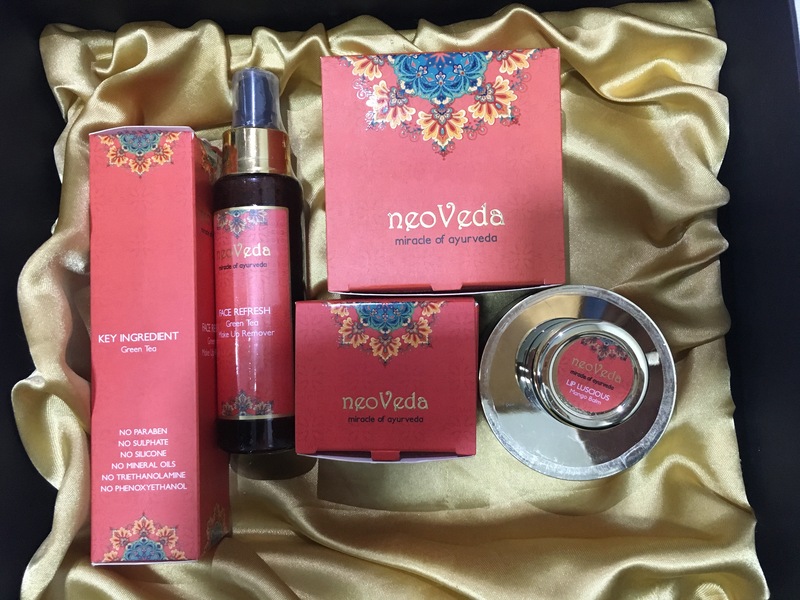 The skincare and lifestyle products by neoVeda bring Ayurvedic goodness in modern packs, rediscovering the beauty secrets from Ayurveda in a contemporary way. “The products are designed to balance the three bio energies known as vatta, pitta and kapha. Our new launch is also without parabens, and harmful chemicals like sulphate, silicone, mineral oil, Trethanolamine and Phenoxyethanol. neoVeda products are also certified from PETA for without cruelty on animals. Thus, neoVeda is dedicated to redefining beauty industry standards for products, which are not only good for us, but also good for our planet,” says Monisha Gupta, director, neoVeda by Craft House. “Our premium collection is designed to enhance and optimise the total mind-body experience and provide a luminous glow that only earth’s ingredients can deliver,” she adds. Formulated with antioxidants, naturally occurring vitamins and essential oils, the products are created to be non-irritating for all skin types—including the most sensitive. Another good thing about the products is that they are better affordable when compared to other products of similar nature in the market. A collection of face care, body care, hair care and essential oils, neoVeda products contain Ayurvedic ingredients like kumkumadi, amla, bhringraj, brahmi, jatamansi, mulethi, saffron, goat milk, gotu kola, ashwagandha, and oils like chamomile, sandalwood oil, mogra, patchouli amongst others . While oils such as kumkumadi help relive blemishes, acne, acne scars, wrinkles, ingredients like kokum butter softens the skin and promotes elasticity. On the other hand the warm aroma of the essential oils calms the senses and encourages stability and also have excellent moisturising properties with anti—ageing properties; and all these products have an interesting mix of such nature goodies. We tried some of the products and discovered the Ayurvedic goodness for ourselves. True to their word, the products are indeed full of Ayurvedic goodness packed to use with ease. Delicate on the skin, the face cream lent a silky soft texture and a natural luminescence, making us want to use it every day. Unlike many other moisturisers, it didn’t give a greasy look or felt sticky at all. But, we did take some time getting used to the strong smells of various Ayurvedic ingredients that were a tad unpleasant at first. The same is true for the lip balm we tried. Although working sweetly and subtly on the lips, it did taste odd at first untill we got used to the nature packed in it and started appreciating its moisturising qualities. One of the best products in our basket was the make-up remover, which worked its magic even on the thickest of foundation base and the darkest of water-proof mascaras. With fresh scent of green tea, it left the skin feeling as natural as its ingredients and ready for a good night’s sleep.